For you end-of-the-world economy buffs, there’s a new video documentary circulating out on the net called Meltup, put out by Inflation.us. This movie outlines the growing possibility for a hyper-inflationary situation occurring here in the U.S. Even though I felt the movie was a bit simplistic and over the top, it was entertaining and thought provoking. As far as I’m concerned, I feel hyperinflation is a definite possibility, although we’re not completely there yet. 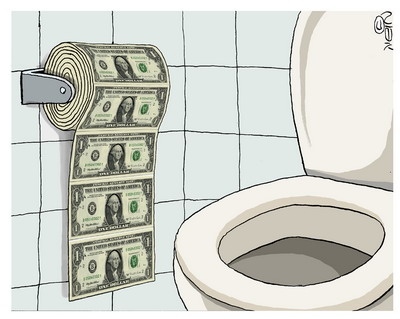 It all depends on how long the dollar can remain as the world-reserve currency. That and the fact that since credit is decreasing, it will have a deflationary effect on the economy — but again only for so long. If that is Not Hyperinflation, what is? Would you not call it Hyperinflation if the same phenomenon were to happen to Russia or China? Just because America chooses to live in denial, does not mean the other nations will also choose to live in denial. In fact the other nations are more aware of Reality.